Creamy, buttery and oh so decadent, avocados are a great addition to any sushi roll, sandwich, salad or Mexican dish. They also provide nearly 20 essential nutrients, including Vitamin E, B-Vitamins, folic acid and essential fats. Avocado prices are increasing, so the limit on 99 cent avocados is now 2. This product traveled 2634 km to reach our warehouse. Storage Tip: Avocados are best kept out of the fridge as cold alters their flavor. To speed up ripening, put avocados in a paper bag with an apple or a banana. If you won't be using the whole avocado, leave the pit intact and brush with lemon to prevent browning. Preparation Tip: As with any fresh produce, wash the exterior skin prior to cutting. Cooking avocado makes it bitter. Did you know... The avocado is also called an Alligator Pear because of its pear-like shape and bumpy, green skin. Avocados contain more potassium ounce for ounce than bananas! Culinary Compatibility: Great as a dip. Guacamole can be customized to your liking with garlic, lime, cilantro, tomatoes, cumin or even strawberries and pineapple. Put fresh avocados in a blender to make a dressing, cold soup or even a milkshake! Mash with sugar and fresh lime and fold in whipped cream, ricotta or cream cheese for a delicious pudding or pie filling! 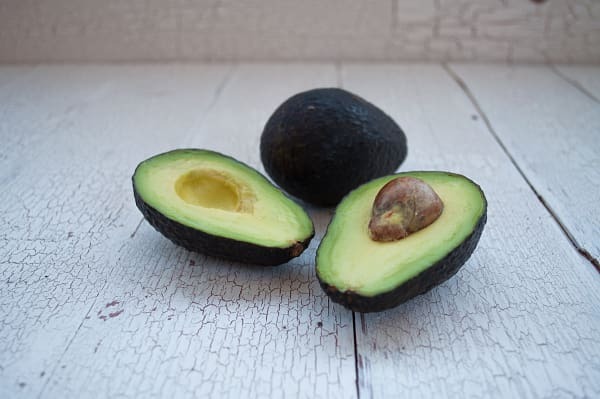 Health Information: Avocados are high in potassium, folate, fiber, and are a good source of iron, thiamine, riboflavin, niacin and vitamins A, C and E. Folate has been shown to prevent heart disease. 75% of the fat in avocados is unsaturated, which makes them a great substitute for foods that are high in saturated fats.